Having a child is a life-changing event, but it doesn’t mean that you have to forego the things that you enjoyed before becoming a parent. Be it fitness, meeting friends, pursuing hobbies, eating out or just enjoying a pint on a Sunday, we’ve scoured the borough for some of the most parent-friendly places and businesses across Lewisham. In a borough that has a high proportion of families, it’s no surprise that many local businesses are family-friendly so we’ve selected just a few key highlights. Home and Kids in Lee combines a light, spacious café upstairs with plenty of space for buggies or little folk, with a trendy family focused gift shop downstairs - think dinosaur bibs and books of hipster baby names. They also host workshops for creative kids including jewellery making and sewing. And if you’re lucky enough to get a babysitter for the night why not try out their evening supper clubs which have played home to local businesses plus a former Masterchef contestant. Sydenham’s Calabash of Culture has a unique play area with books, toys and instruments that will keep your child entertained whilst you enjoy some delicious vegan food or browse the shop. They also run toddler music classes – more details available on request from the café. Over in Brockley parents will small children will be welcomed at many of the cafes that include space for buggies, high chairs and kids menus, including Arlo & Moe and Fred’s. 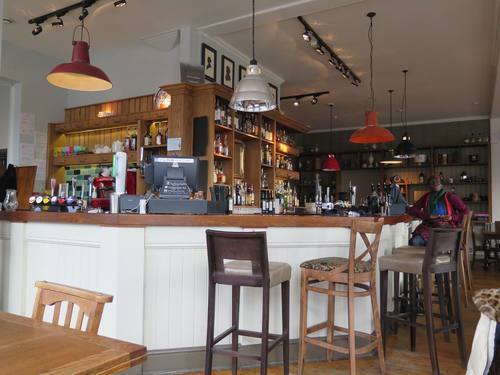 If having a beverage or a lovely Sunday lunch is your weekend activity of choice, you’ll be welcome with children at many pubs across Lewisham including The Honor Oak, The Signal in Forest Hill and The Station Hotel in Hither Green. Parents in Lewisham are spoilt for choice for green space across the borough, with the neighbourhoods boasting Mayow Park, Manor House Gardens, Hilly Fields and Blythe Hill amongst its outdoor gems. Not only are they great places for strolling with the buggy, but most have play areas and several double up as locations for boot camp or fitness activities. There are also several adventure playgrounds across the borough - the perfect place to burn off excess energy - including at Honor Oak and Ladywell Fields. They are open at weekends, as well as throughout the holidays – some with bespoke summer programmes. Regaining your own strength and shape can be tough after giving birth, which is why Fitness for Mummies is loved by new mums across the borough. Not only do they offer a range of classes to suit from Insanity to boot camp, but you can also take your little one, meaning childcare is one less concern. Classes take part across Forest Hill, Brockley and Lewisham, plus in neighbouring Greenwich, in day time and evenings. If group training isn’t your thing they also offer 1-2-1 personal training sessions. Lewisham Arts Cafe is another parent friendly project that hosts a wide range of activities for kids and parents. From art workshops and live music, to river-dipping in the Quaggy and building houses out of bottles, this lovely community project aims to entertain and educate. It's humble abode in the heart of Manor Park provides the perfect situation for such an endeavour, with grass and trees and a surrounding play area to make children feel comfortable and creative in their activities. Check out their busy and ever-changing events schedule here to get involved. The babies and kids of Lewisham are not going to fall behind in the fashion stakes with super-cute attire available from a range of retailers including Gently Elephant and Baby Haute Couture in Brockley or Bunka in Forest Hill. Several of these are also great places to pick up toys or gifts – both for children, as well as parents. If small people and sugar rushes doesn’t bring you out in a mild panic you should get down to Forest Hill’s infamous sweet shop, Sugar Mountain. You will be transported back to your childhood by the walls stacked with glass jars of the finest sugared treats this side of the South Circular. Being a parent involves finding suitable and interesting activities for your children, as well as yourself. Lewisham is awash with baby and child activities from reading to dancing to just good old fashioned playing. The Library at the Deptford Lounge has sessions for under 5s every Monday with songs, nursery rhymes and stories. You can find a fantastic soft play area tucked downstairs in Forest Hill’s Montage café. Nearby is home to Gems Performing Arts – a fantastic community organisation that provides performance and dance opportunities for 3 – 16 year olds in Sydenham and Forest Hill, including holiday clubs for 4-7s and over 8s. The Albany has regular shows and performances suitable for families including Disco Kids as well as a great space to host kids parties, plus you can get 10% off in the café. And if your child’s birthday is fast approaching, don’t despair, local children’s performer Ine Twist can help you out with entertainment whilst Kids on the Hill in Forest Hill will fulfil all your party good requirements.